Dalroy Express have what appears to be a new MAN 15.280 on their New Plymouth - Auckland service. Does anyone have any further details? Walked outside my house to this morning to get the bus and spotted a horrible collision between a Go Bus MAN 16.223 after it had collided front on with a truck at the Avalon bypass roundabout near Rifle Range Rd. The front had been completely dented in. Does anyone know the fate of Pavlovich's Irizar's? Running around still, looks like Charters. Black with no titles. Vitalstatistix wrote: Does anyone know the fate of Pavlovich's Irizar's? Three of Pav's Irizars have been painted into their Scenic Tours Livery. With the fourth still in black and white atm. Seen in Tauranga is ex Redbus 014 or 015. Still in red livery, but with Tui Coachlines signwork. Seems to be based at Baylines depot. 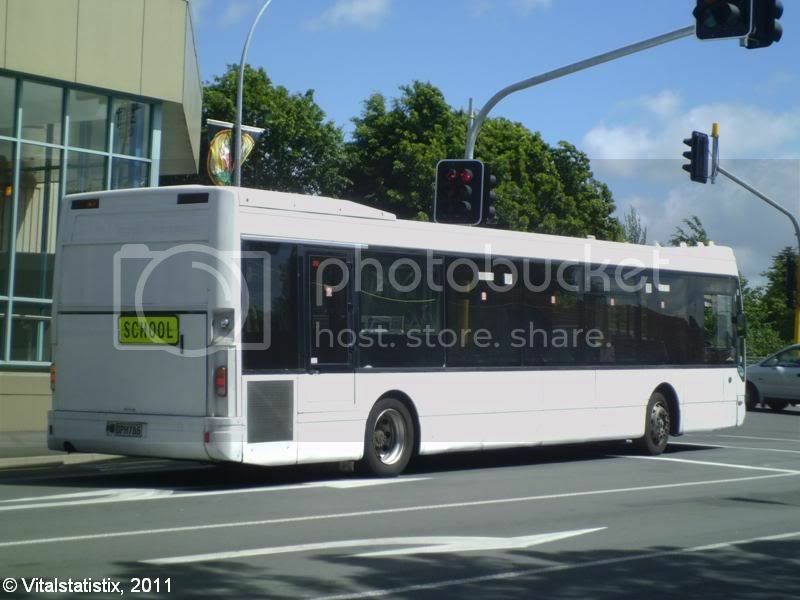 flyer682 wrote: Seen in Tauranga is ex Redbus 014 or 015. Still in red livery, but with Tui Coachlines signwork. Seems to be based at Baylines depot. Bayline has owed TUI coachlines for a while now and still uses their livery. Go Bus 182 MAN 16.223 is in a revised AOA for classic hits. Much of the red and white has been replaced by purple and silver. It features the 'Bunting and Justine in the Morning Show'. brand new gobus desginline MAN spotted,painted in gobay colour,no fleet number assigned yet. lol,redbus have finally sold these vintages,I last saw 015 on a commercial run to darfield. Only 014 is automatic. I think that is the one I saw in Tauranga. These two coaches saw service with Scenic Coachlines for a while. JCL 1242 has been spotted running nakedbus services throughout the past week. Also Go Bus 180 has a revised AOA for ZM. A golden age in bus advertising has how ended in Hamilton. Advertising now covers the windows and is no longer painted on, but wrapped. Sorry about the quality, photo was taken with ipod thingy. Go Bus 81 has been painted into green Go Bus urban livery. It was one of the oldest buses to still retain an AOA since 1999.2000? for Newstalk ZB and later for Radio Sport. Go Bus 835 Optare Excel on an afternoon school run for HGHS. Note the rear set of lights have been replaced. Go Bus 415 was in place of 80 on 23 Raglan services. Spotted Tranzit 1032 in Hamilton today. A B10M which looks as if its been freshly painted into the new InterCity livery. Also spotted 542 and 1076 heading to Rotorua and Auckland respectively. From tomorrow (Monday 8th) 3 of the 4 direct services in Hamilton won't be running. They have been discontinued and being absorbed into their respective full service routes. The 01 Pukete, 02 Silverdale and 03 Dinsdale will have extra peak services added. 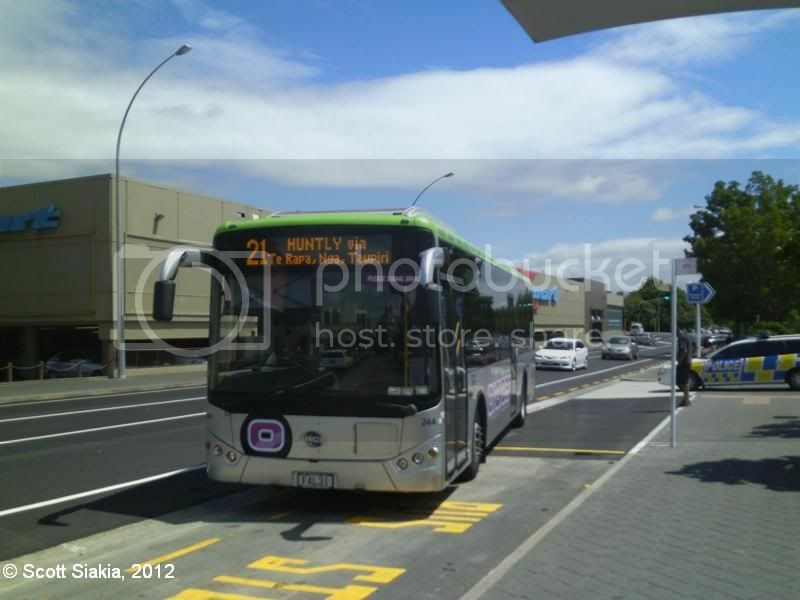 Many changes are now underway on the public transport scene in Hamilton. The 08 Frankton has become the first route between the city and the suburbs to get a 20 minute service throughout weekdays, an increase from a 30 minute service. It has also been designated a key route becoming the 13th route to now operate Sunday and public holiday services. An Orbiter usually on the 21 to Huntly. Probably because their was an Orange Pavlovich MAN 17.223 and three Orbiter tag axles parked up on Quay Street, Auckland this morning. Either for Rail or Big Day Out back ups.